A wicked guest star from The Wizard of Oz made Sesame Street ban Episode 847 for good. 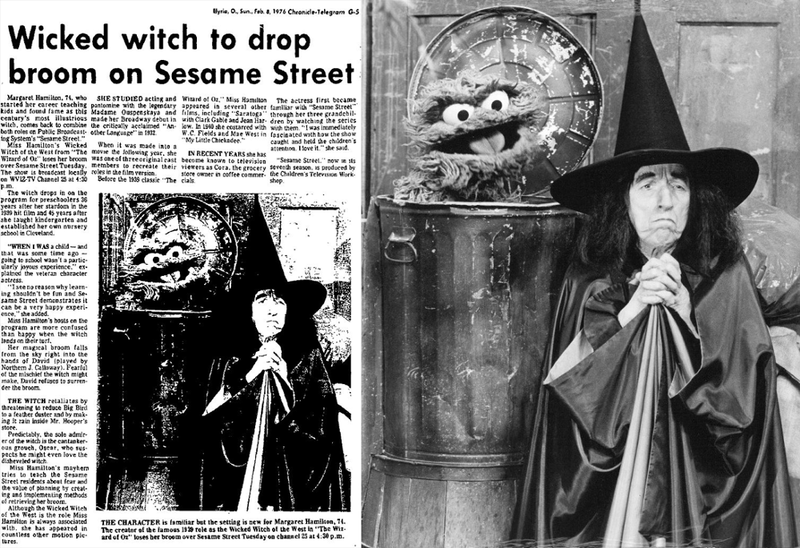 In 1976, Sesame Street invited Margaret Hamilton, better known as The Wicked Witch from the iconic film, The Wizard of Oz, to be a guest star. The creators came up with a plot that not only incorporated the character from Oz but also kept the show’s themes of education. It’s hard to imagine a character like The Wicked Witch becoming “controversial” but that’s exactly what happened. By the late 70s, The Wizard of Oz aired annually, however it only aired once a year and always at night. It was up to the parents if the child should be exposed to movie or not. Many parents were not monitoring Sesame Street episodes and allowed small children to watch without supervision. It’s unclear if children were actually scared by the witch, however many parents claimed as much when they contacted PBS and Sesame Street. Despite studies that showed children were more intrigued than scared, the episode was pulled and never shown again. Even now, it’s next to impossible to find a lot of footage from the banned episode. In the episode, the Wicked Witch loses her broom and wreaks havoc all up and down Sesame Street. Eventually the residents help the witch locate her broom and everyone ends up as friends.